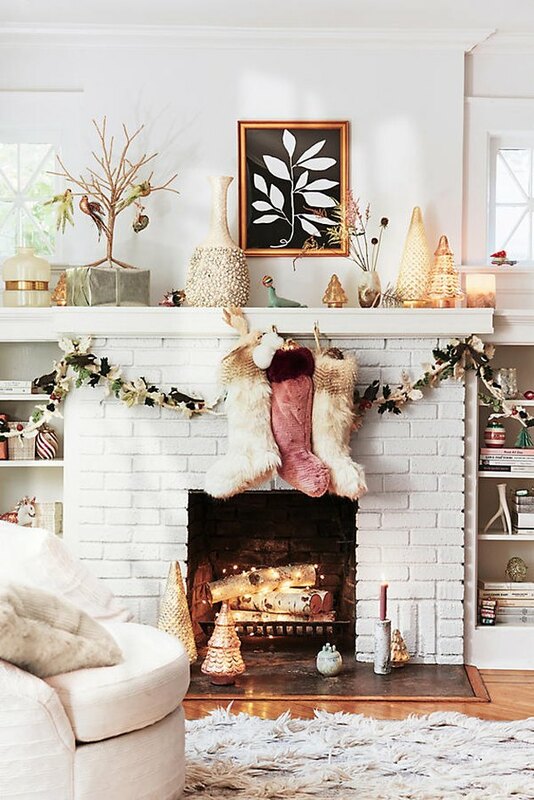 The mantel is the centerpiece of a home's Christmas decor. It dictates the theme of your holiday decorations and is a place where family gathers. So don't slack on sprucing it up! 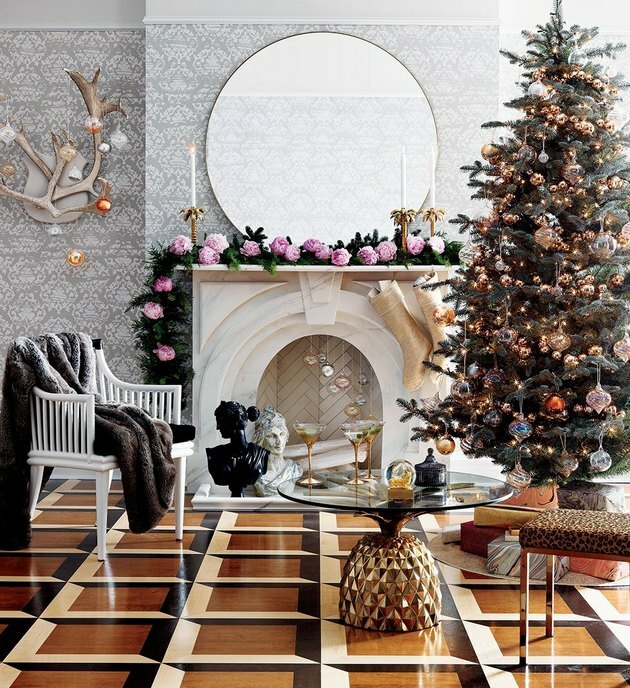 Below, 12 festive Christmas mantel decoration ideas that are anything but gaudy. 1. Don't be too literal. 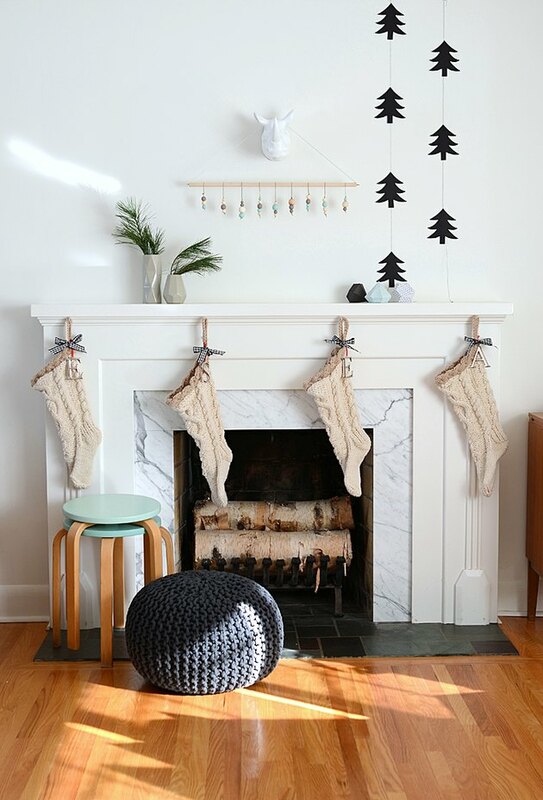 Every inch of your mantel doesn't have to be decked out in Santa and reindeer. 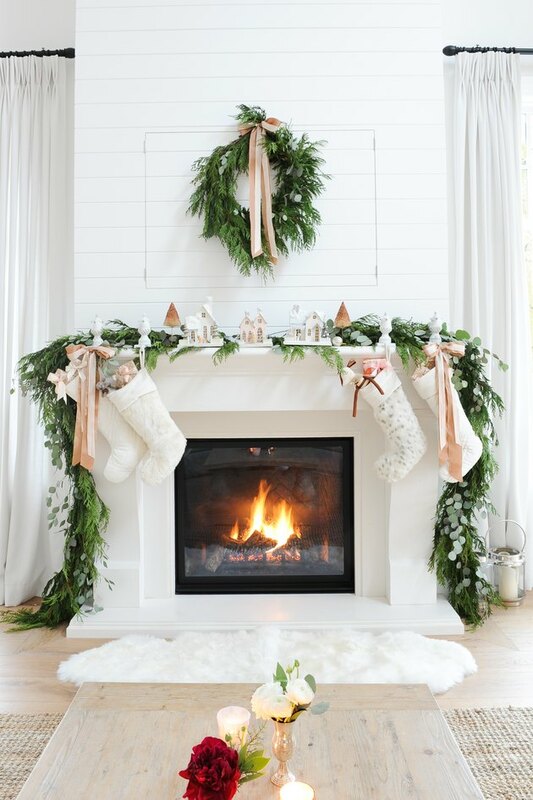 Try limiting the literal holiday decor to stockings and a garland, with the accents standing on top of the mantle being evergreen. 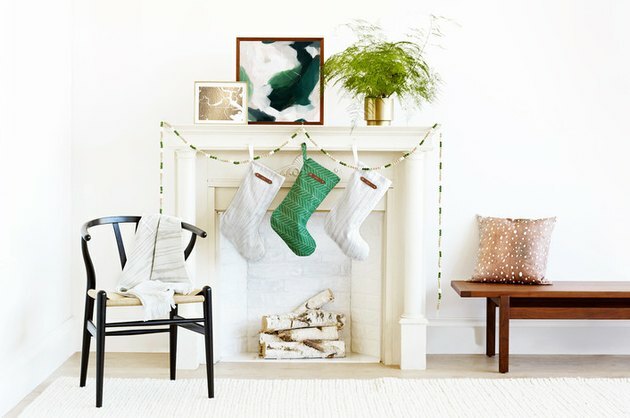 A simple Christmas tree garland and matchy-matchy stockings are refreshingly minimalistic. 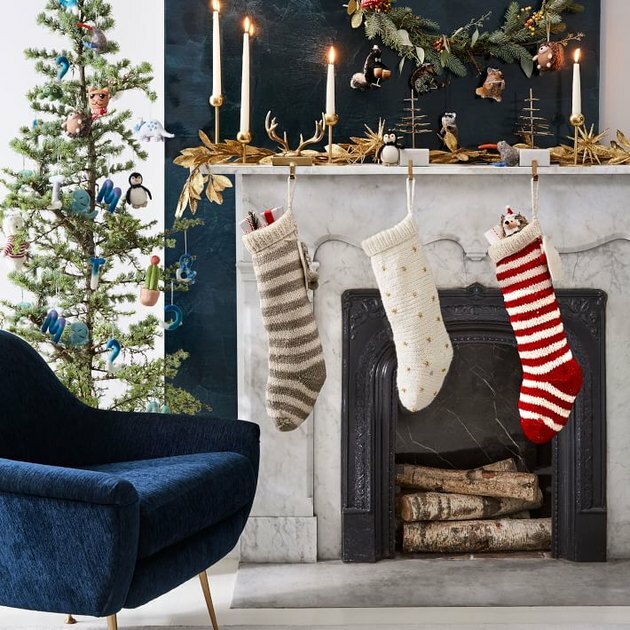 It's totally possible to keep with the theme of your home while still decorating for the holidays. 3. Impress with fresh greenery. 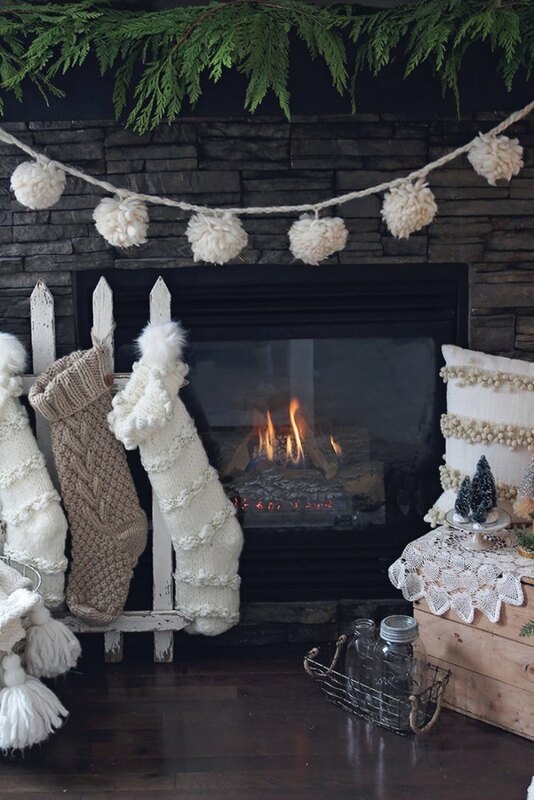 Nothing looks — and smells — quite as nice as a real garland and wreath. Go all out for a holiday party, or even just Christmas Eve with the family, with this look. 4. Fresh flowers are gorgeous and unexpected. On a similar note, a fresh flower garland is stunning for a special event. Although Christmas and flowers are totally unrelated, somehow this look just works. 5. Go for an eclectic look. As long as there's some sort of color scheme, topping your mantel with all kinds of knickknacks is such a cool look. Christmas and candles are practically synonymous, so don't forget to light a few! 7. Try out a color theme. 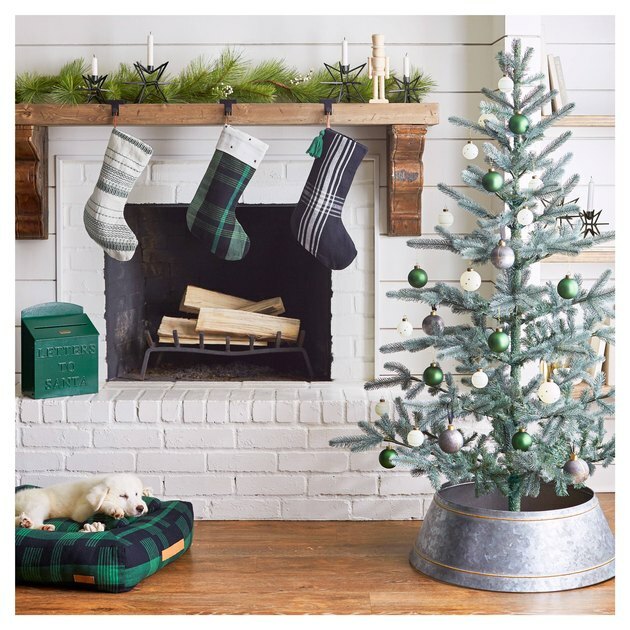 Pine green works great for a Christmas mantel decoration, for example. 8. Let frosty, winter artwork shine. 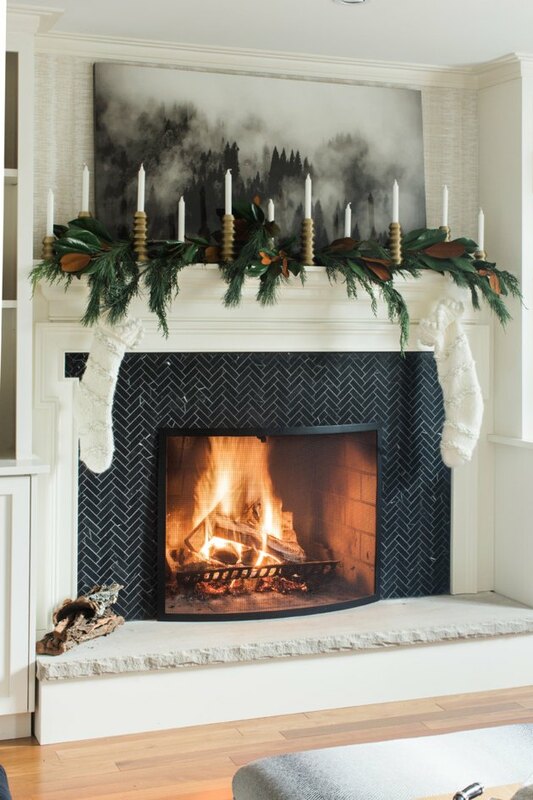 Allow a winter landscape to be your mantel's centerpiece. Beautiful. 9. Create a garland out of the holiday cards you receive. Sentimental, stylish, and super affordable. 10. 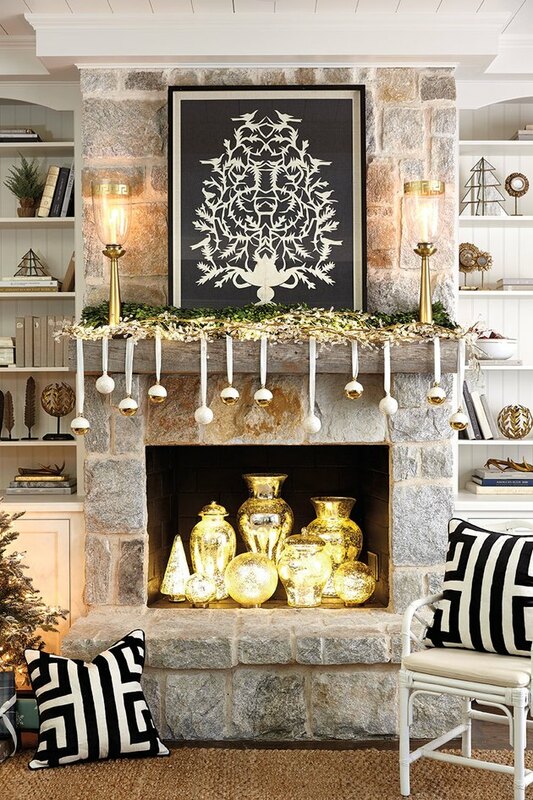 Hang ornaments at varying lengths. This is another high impact option that comes in at a low cost. Live in a warmer climate? 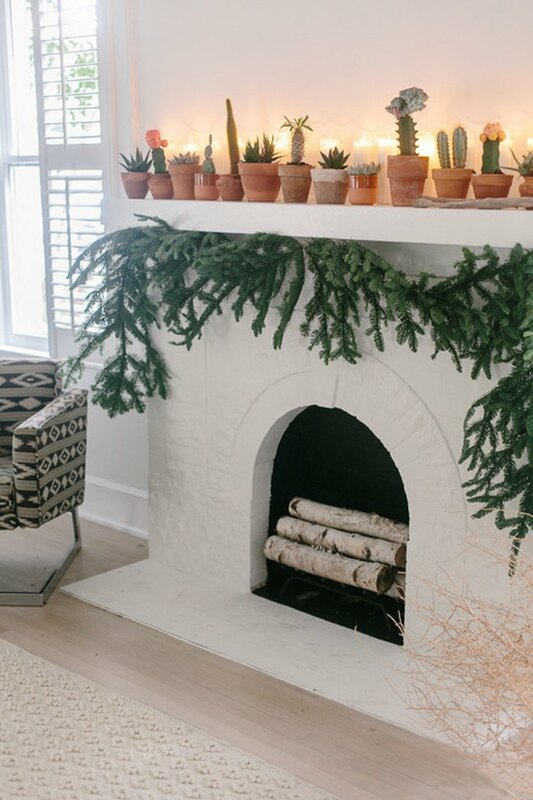 Cacti may seem a bit more natural to utilize as holiday decor than pines. Very desert chic. 12. Snowball pom-pom garlands are adorable. 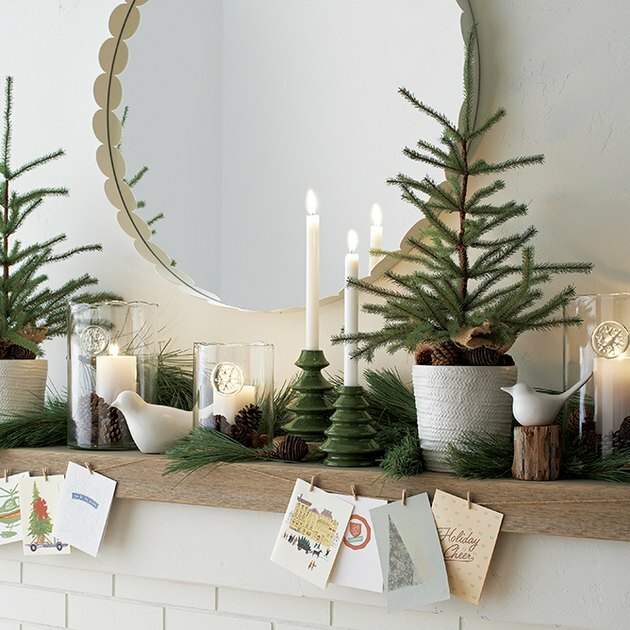 This is an easy and affordable Christmas mantel decoration with big impact.